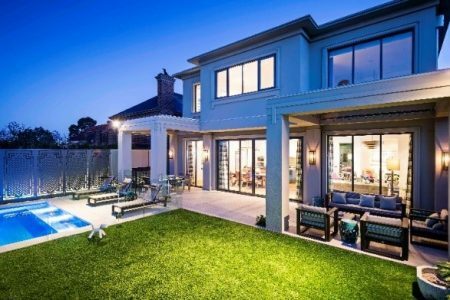 This home improvement cost guide has been prepared by the Homesafe Group and Caulfield Krivanek Architecture in conjunction with Kidsafe to provide a guide to home owners contemplating undertaking home improvements, renovations and extensions. 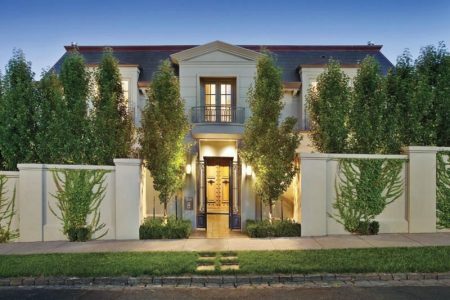 In addition to providing stunning, energy efficient buildings, Caulfield Kirvanek Architecture is committed to providing safe environments for children, adults and seniors. Every year, approximately 300,000 children and 130,000 adults suffer preventable injuries in their homes. Your home improvement project will provide the opportunity to build a safer environment for you and your family. Home safety design does not add cost, nor does it compromise design integrity, but it could save lives. Additionally, a well-designed improvement is an excellent capital gains tax free investment. Deciding to renovate and improve your home is an exciting time. It involves gathering lots of information and making key decisions on how the project will work. With this information from Caulfield Krivanek Architecture, you’ll be in a great position to plan and budget properly, avoiding any surprises once building commences. Before you begin your home improvement you need information vital to your own home. This includes accurate plans of existing conditions, and the condition of the structure and services. 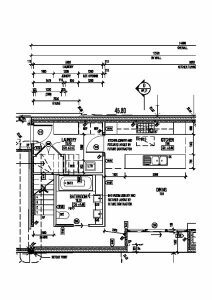 Drawings should be to a scale of 1:100 or 1:50 and include items such as wall thickness, door and window locations, height of sills and ceilings. You should also show the location of services such as power points, taps, heaters, hot water services, and air conditioners. We recommend you photograph your house to record its condition internally and externally, before construction work starts. Familiarise yourself with regulations governing minimum setbacks and maximum heights relevant to your property and those of neighbours. You may also need assistance from a building surveyor to plot and certify these. If you are not confident with this process, an architect can help. Home improvement building costs can inadvertently escalate because of unforeseen problems with your existing structure. Termite or borer activity requiring replacement of structural elements. Visit your local council town planner and building surveyor to compile a list of restrictions relative to your property as they will all potentially affect your design. A competent home renovation should involve state of art thinking in sustainable design. This will reduce your energy and water consumption and will lower running costs for utilities without adding substantial costs. Sustainable design is a complex issue and each project needs to be examined individually. Appropriately designed eaves, pergolas and sunshades allow or block sunshine, reducing heating and cooling costs. Well placed windows and doors promote cross flow ventilation, reducing cooling costs in summer. Water efficient taps and shower heads can reduce water usage by more than 50%. The hot water service is often the greatest source of greenhouse gas emissions and therefore expensive energy bills. Solar, natural gas or electric heat pump systems can significantly reduce energy costs. Current building regulations stipulate minimum insulation criteria for walls, floors and ceilings. You can improve the energy efficiency of your home if you choose to exceed these. Choose energy rated appliances rated 3 stars or greater. The building materials you choose require different levels of energy to produce them, this is known as ‘embodied energy’. True sustainable design takes these into consideration. Generally, concrete and aluminium products have the most embodied energy, and timber has the least. Your architect can explain the energy properties of materials that may be relevant for your home. Having considered all available data on regulations, restrictions, design brief, sustainability and the home safety guide, there is one remaining important factor to consider: budget. Most home owners underestimate the projected cost of home improvements and many DIY renovators find their funds exhausted part way through the building process, resulting in a financial and planning disaster. Be realistic! A builder, or an architect can give you an accurate estimated price per square metre for new work. You will also need to estimate and include the cost of repairs to the existing part of your home. There is no simple way of defining the planning procedure, but the following tips will help you work through the process. A successful home improvement should be attractive, safe, energy efficient and a great tax-free capital investment. Your architect can help you achieve this. High resale value is about great first impressions. Your improvement must have excellent design appeal. Never skimp or compromise on the overall design concept. Independent professional advice here is worth every cent. 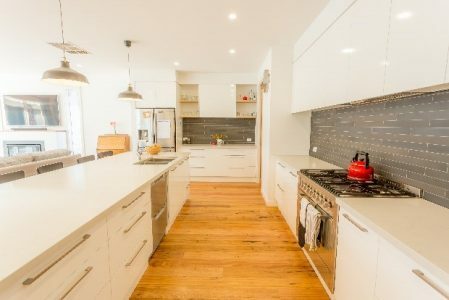 Choosing premium fittings and finishes such as tiles, taps, basins, toilets and bench tops may not add to the value of your home but can place unnecessary stress on your budget and can cause over capitialisation of your project. Consider these purchases carefully and take some time to shop around for the best deal. According to many real estate agents, “Architect designed” can add more than10% to the value of your home. An architect’s fees will most often be justified from the increased capital value of the home. Inefficient planning and poor design will add unnecessary floor area to your project. This can also cause over capitalisation. You should now have enough information to prepare your concept plans. 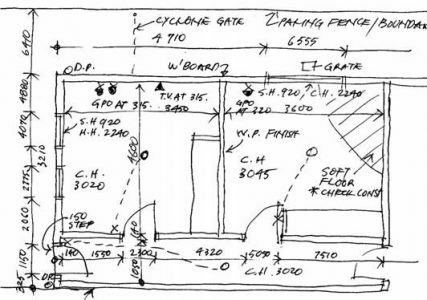 These are not construction drawings, but sketch plans drawn at 1:100 or 1:50 scale. They should include all furniture such as tables, chairs, beds, lounge suites, all drawn to scale to make sure that your room sizes, circulation spaces and door swings all function efficiently. You should also prepare elevations, including your existing home so that everyone involved in your project can visualise the final product. Your architect can perform this work. You now have enough information to obtain estimates of construction cost from a builder or quantity surveyor and opinions on the resale value from a real estate agent or valuer. As a guide, successful renovation projects should return a profit after about five years and a substantial capital gain after seven to 10 years. Generally, property values double every ten years or so. In addition to the investment return you will enjoy in a contemporary, 21st centre home you decide to sell. If your budget review doesn’t achieve the result you require you should revise your concept plan. The most cost-effective way to progress your project to building stage is for your architect to prepare working drawings, specifications and material schedules. Then seek competitive tenders from three to six suitable builders. When choosing your builder, cheapest is not necessarily the best. Ask to see previous completed projects and get testimonials from other clients. Also consider proposed construction time – especially important if you need to move out of your home during the build. Be aware of contingency sums and prime cost sums. These are monetary allowances builders often include in tenders instead of pricing specified products. These are notorious for causing cost overruns where the allowance is far less than the actual purchase price. You should then enter into a legal contract that protects your interests with appropriate liquidated damages, retention sum and defects liability clauses. Your architect will be experienced in these issues and will offer quality advice. Ensure the builder has allowed for obtaining all required permits. Some owners choose to administer the contract. This can work well providing the owner has a comprehensive knowledge of building, and project management. This will be time consuming and will involve monitoring quality of construction work, progress payments, variation claims and generally supervising a host of issues that invariably develop during construction. An alternative is for your architect to administer the process. Your project is not complete until all regulatory checks (building inspector, electrical, plumbing etc) have been signed off, all contract items are complete, defects remedied and the defects liability period (usually 26 or 52 weeks) has expired. Only then should you release the remainder of funds to the builder. If you have planned your project well you will have a contemporary, trouble free home, sound investment and hopefully you will have enjoyed the process and be proud of your achievement. More importantly, you will enjoy a safe environment for your family, friends, visitors and maintenance contractors who will visit your home for many years to come.